Today, we'll be looking at the new 87-rated Flashback Esswein. Esswein received this card as a throwback to his 75-rated FIFA 13 card, which was utterly broken and completely game-breaking in that FUT. Esswein is available as an SBC, and should cost around 160K to complete. As a totally broke secondary student, I had no coins in FIFA 13, and so I did benefit from Esswein's abilities. Even though I only used him for around 20 games back then (I preferred my 3-5-2 Russian League/Brazilian teams), and for a handful of games in FIFA 16, I had to grab this card right away. In an effort to get this review out as soon as possible, this is might be a shorter review.  The long reviews will return after this. 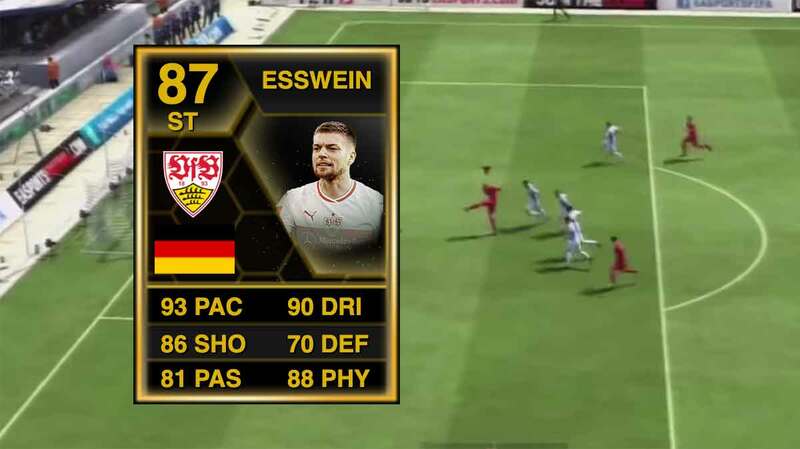 Esswein has a lot of the meta stats you need to be a successful striker in this game, though he his lacking in some areas. His 90+ Acceleration, Sprint Speed, Reactions, Ball Control, Dribbling and Strength are countered by 78 Positioning, 82 Finishing, 78 Balance, 80 Composure and 79 Stamina. In an effort to solve a lot of these problems, I used Esswein with the Sniper chemistry style. I mostly used Esswein as a striker in the 4-1-2-1-2-(2) formation. Let's get into his pros and cons! Pace: As good as it was back in the day. Even without any boosts, it's still a hugely impressive stat, and will get the job done. Finishing: With the Sniper boost, his finishing is virtually perfect, and it shows in game. If you get in position, he'll put it away. He got unlucky a couple of times, with the ball coming off the woodwork, or the keeper pulling off repeated wonder saves -- otherwise, he would have had 10+ goals. Shot Power: Incredible. He absolutely leathers the ball every time. There were times when the ball moved to fast that the keeper had no chance to react. Crossing: I really liked this stat. You could play him out wide, as a winger, wide midfielder, or a wide CAM. He was able to consistently get the ball to his target in the box. Passing: More than good enough. Excellent for the short- and medium-range passing needed for build up play, and his long passing is decent enough to play other players in behind. Dribbling and Ball Control: Much better than I had expected it to be. His first touch is solid, and he keeps the ball close to his feet even at top speed. Agility and Balance: Agility is incredible, and the balance is really good too. For a player of his size, pace and power, he's very nimble in game. Aerial Ability: A monster in the air. He wins a lot of his headers, even against the top defenders. His heading accuracy does let him down, but he does win more than enough chances for this to be a pro. Defensive Ability: Surprisingly good. He could play as an attacking or even central midfielder, and this stat would be good enough. If you stick a sentinel or powerhouse on him, he could be an all-round beast! Sure, the interceptions are low, but his tackling is really quite good. It allows him to win the ball up the field, and makes him more dangerous in the challenge. Physicality: A true beast. He's tall and very fast, and has 89+ Strength and Aggression, so he's going to dominate opponents in game. Positioning and Work Rates: Doesn't make great runs (unless you trigger them), and he doesn't latch onto loose balls. A lot of the time he'll just be hanging out outside the box, instead of making a run in behind. Consistency: My biggest issue with this card. He can have a game where he scores two, assists another, and hits the woodwork a handful of times, and then the next game he's skying sitters and misplacing all his passes. This card was awesome for three of the five games, and missing for the other two. Weak Foot: I really don't like the three-star weak foot on an attacker. It limits his passing and shooting, and it means that in difficult situations, he's basically one footed. Skill Moves: He's got great dribbling, so it would be awesome if he also had the skills to back them up. Stamina: Good if you just have him stay forward, but if he drops back at all, he may be dead by the end of the game. If you play him further back on the field (LM/RM, CM/CAM), he'll be drained much earlier. I did like this card. It was a lot of fun to use, and I think he'll be a useful impact sub for me. He's effective in game, and he really does bring back the FIFA 13 memories. That being said, he's far from the best player in his position, or even the best player in his position in the Bundesliga (I'd still take Werner or Lewa or Jovic over him). As effective as he is, and as much as I did enjoy him, I don't think this card is worth it for 160K. I burned a lot of untradeables, so it didn't hit my coin balance as much, but I do feel like those cards could have been sacrificed for a better card. If this card was 50-80k, he'd be worth it. But for the price he's at, or really any price over 100K, you're better off just picking up another player off the market. 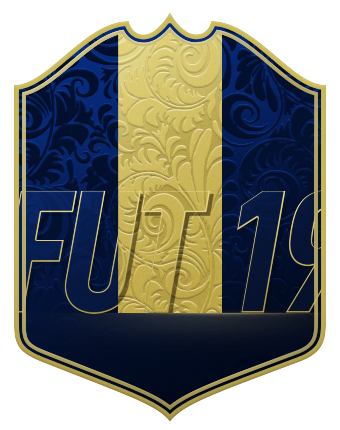 Value for Coins: 6/10 - Not the worst value SBC out there, as you're not going to find a card exactly like him, but you can find cards that are better overall for less than him.